For the carnival season, Netherlands Insurance is encouraging revellers to exercise road responsibility when drinking. 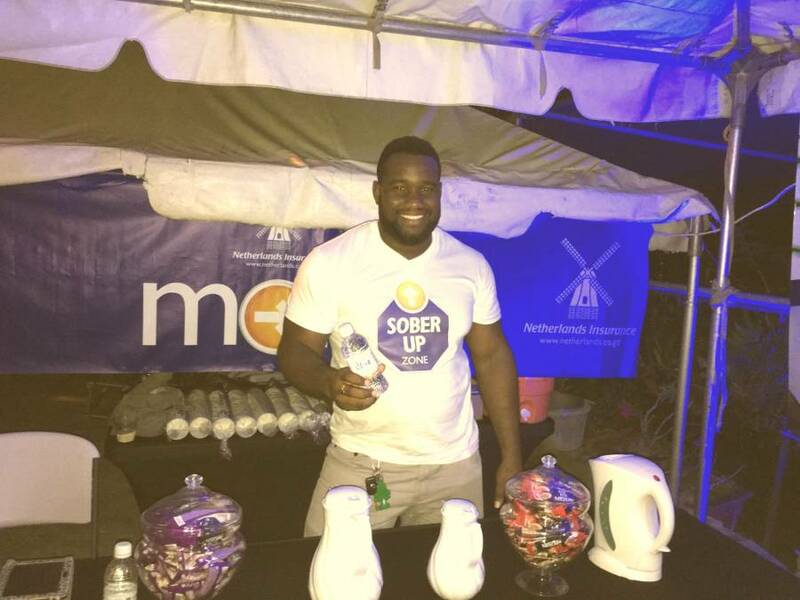 Last year, Netherlands Insurance became the first company to introduce to Grenada Sober Up Zones at a number of popular events and parties in the lead up to, and during Spicemas. This year, due to its popularity, Netherlands is doing it again and more! Visitors to the Sober Up Zone will be invited to take a voluntary breathalyser test. If found to be ‘over their limit’, the person will be invited to have bottled water or light refreshment and rest in a lounge before they get behind the wheel. This season’s first Sober Up Zone was hosted at10 to 10 Soca Fete held on Saturday, 5 August. Patrons attending C4 Promotions’ Jab in White house party on 8 August and PreeDay on 9 August will also have the opportunity to get sober before they head to their next destination. In addition to the Sober Up Zones, Netherlands is stepping up their involvement in the arts by teaming up with Summer Crew Mas’ Band to have fixed and moving Mas’ Cool Down Zones for revellers on Carnival Monday and Tuesday and at other Summer Crew events. This new feature to carnival in Grenada will see misting machines on the road and at selected venues to rehydrate the skin and keep patrons cool. The company will also provide ‘Sober Up’ themed cups to party goers with reminder messages to drink responsibly. Netherlands Insurance wishes Grenadians and visitors a safe and festive Spicemas. They are encouraging both drivers and pedestrians to put safety first this season by being self-aware, knowing their limit and appointing a designated driver when attending parties and events. Let’s keep our nation’s roads safe for all.